The Flexible Route profile system is designed to allow you to track and record your probationary teaching service. The progress section outlines the number of teaching days completed and the number of days you still have to complete before submitting your profile for recommendation for Full Registration. 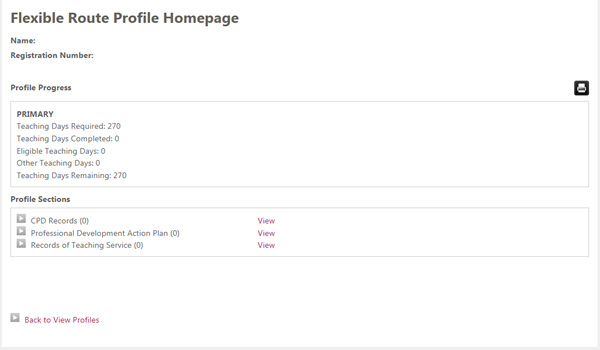 You can then use the links under the 'profile section' to navigate to the various parts of the profile.